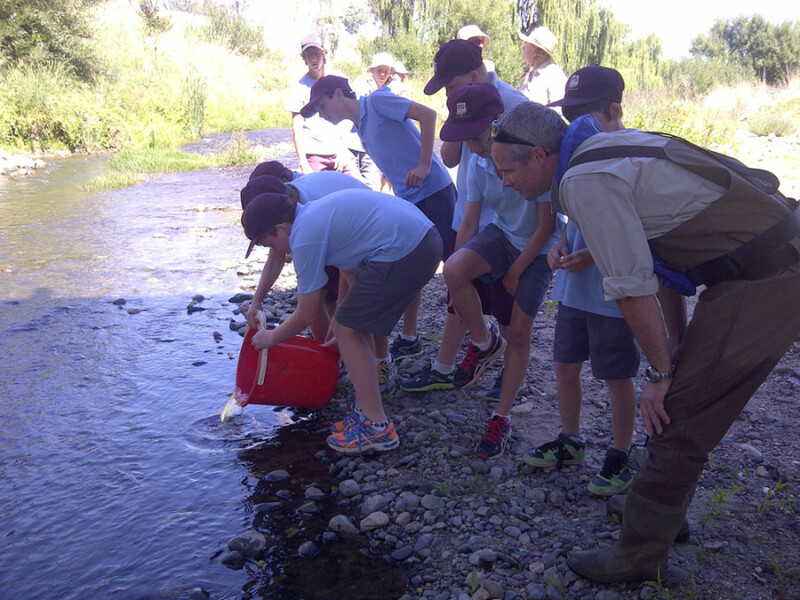 The Adelong Creek provides habitat for a number of aquatic species including numerous native fin fish, native crayfish and the endangered Booroolong Frog. The creek is also a renowned trout fishing stream. In recent years, the Adelong Creek has experienced droughts, floods, fires and changes to land use which have negatively impacted on the health of the creek and the habitat for these aquatic species. This project has been developed to encourage neighbouring landholders to work together to restore sections of the Adelong Creek and in doing so improve fish habitat. The project is providing financial assistance to landholders through assisting with the costs of weed control, fencing and planting native vegetation. The project will also involve the broader community through Clean Up Days and community tree planting events. Landholders along the Adelong Creek, Riverina Highlands Landcare Network, Riverina LLS, Dept Primary Industries , with funding from NSW Fish Habitat Action Grants.